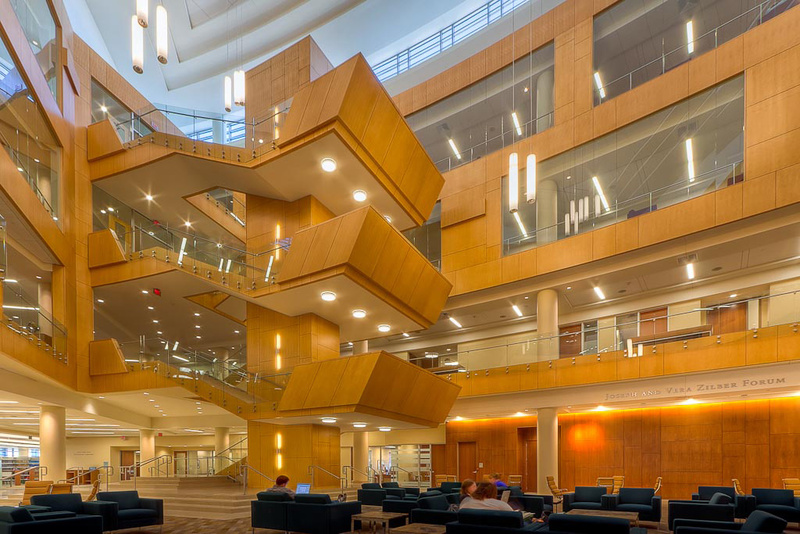 MICROPERF ACOUSTICORE WOOD | Technature Inc.
Our discreet Mirco-perforated Wood system was used in this library to create a warm and quiet study area for students. 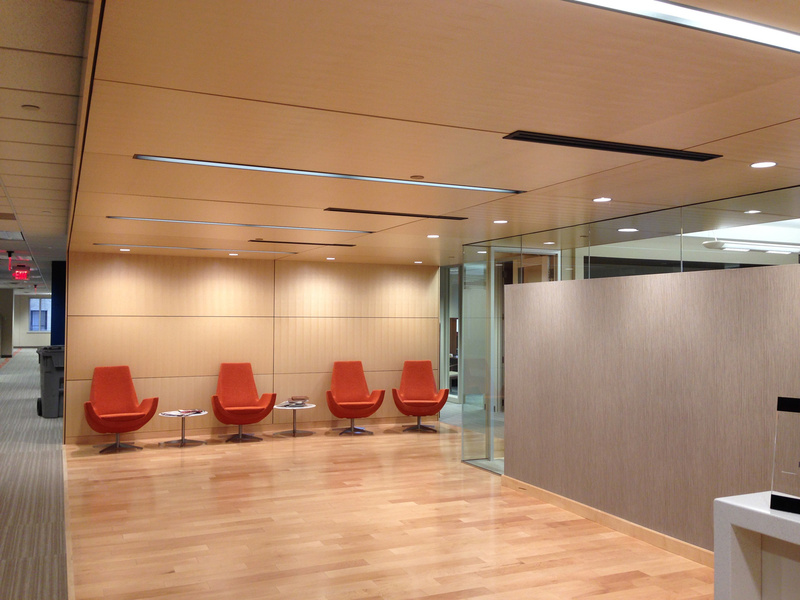 Create a quiet and clean office waiting area with the use of our MicroPerf Acousticore Wood system. 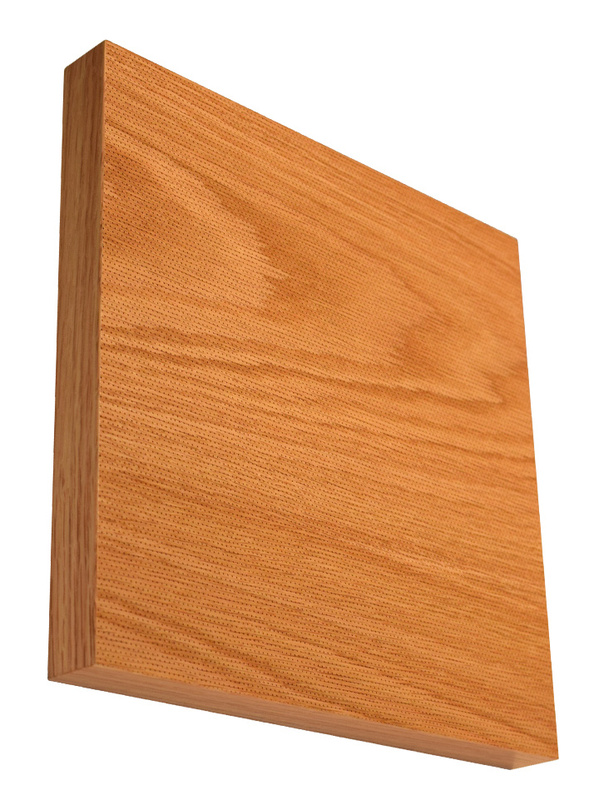 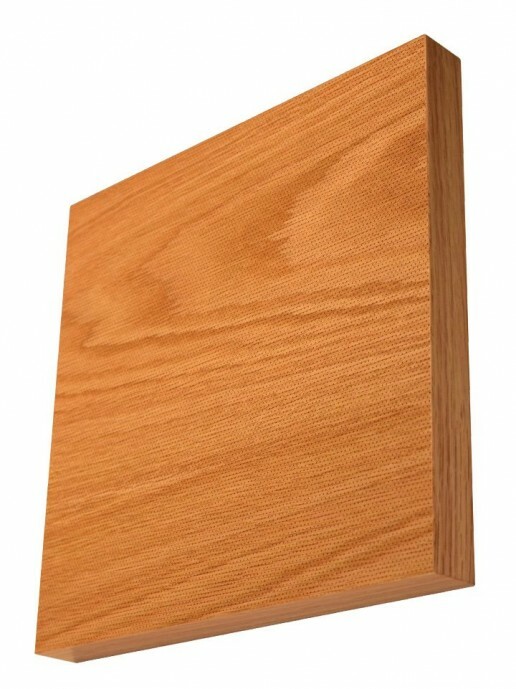 Microperf Acousticore Wood 519 and 525 wall and ceiling panels are unlike any other acoustic panels on the market today. 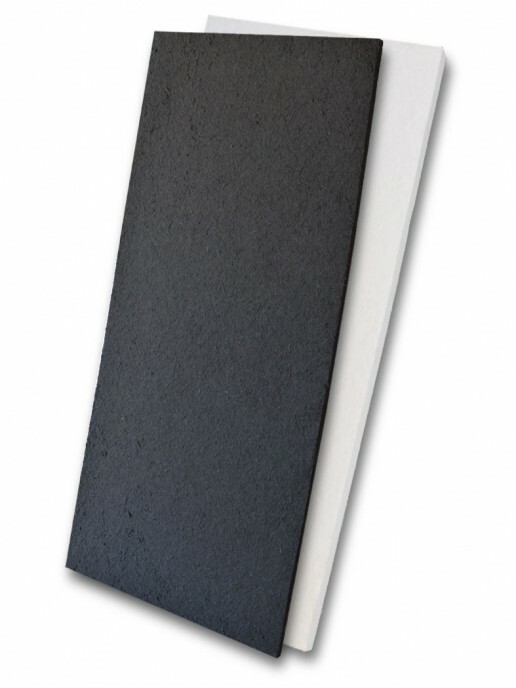 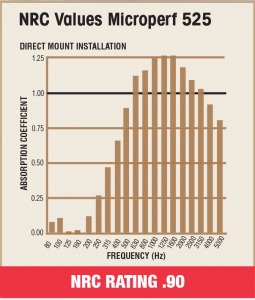 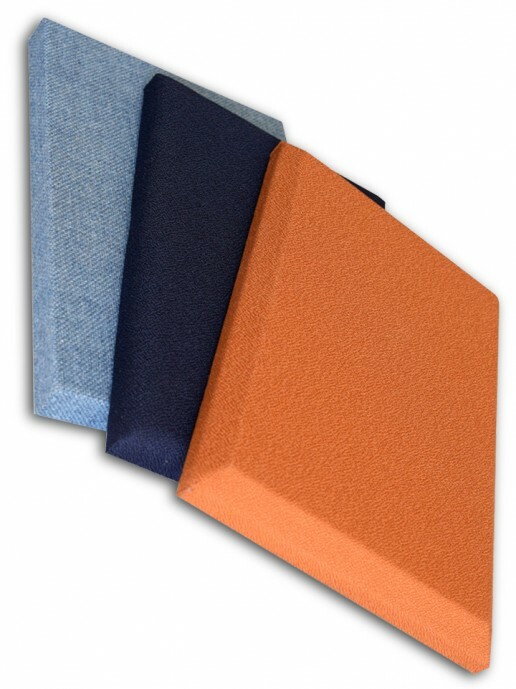 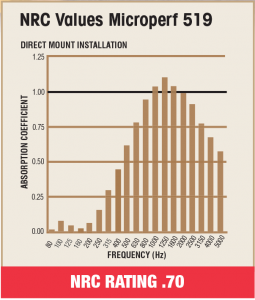 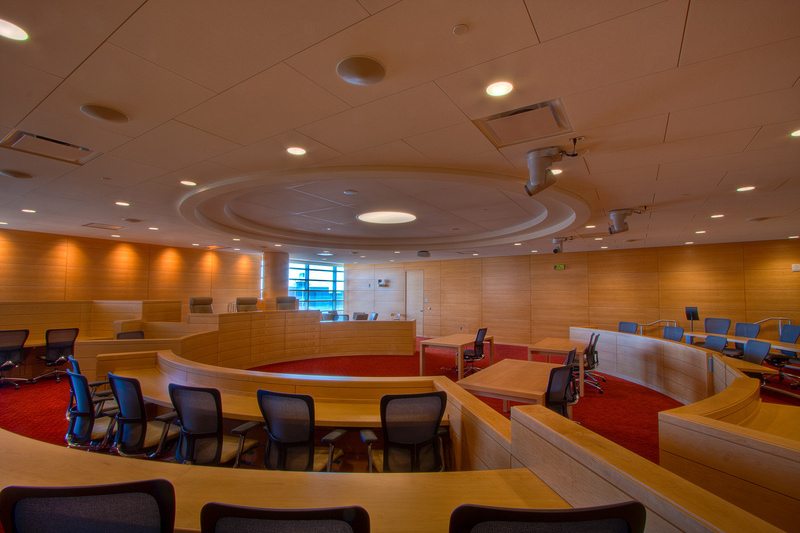 The unmatched performance, discrete aesthetics, and structural integrity of Microperf Acousticore panels represent an entirely new class of sound absorbent panels. 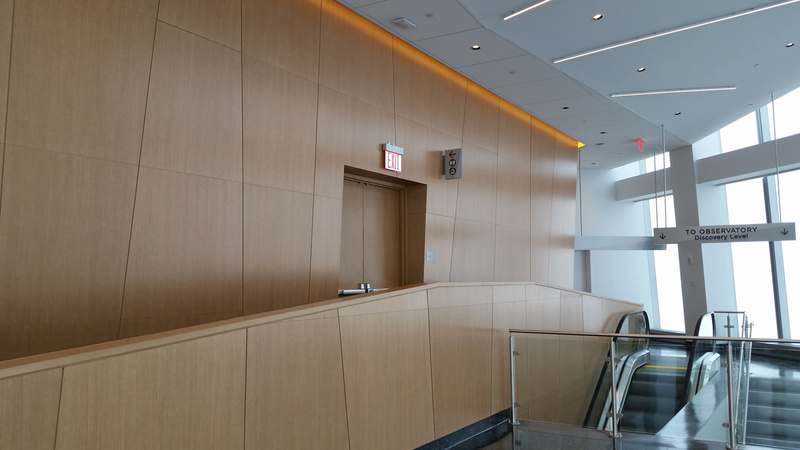 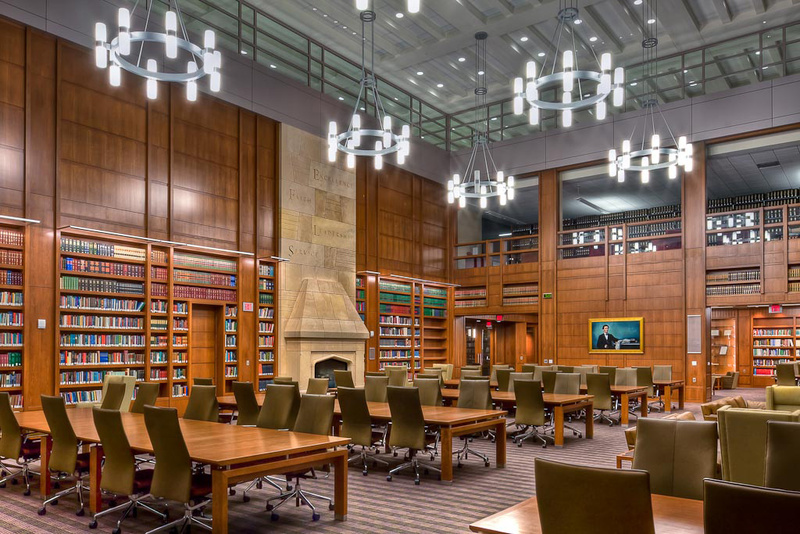 Intentionally engineered to offer pleasing design along with unmatched acoustic benefits, Microperf Acousticore offers a truly seamless integration of acoustic materials into all types of projects. 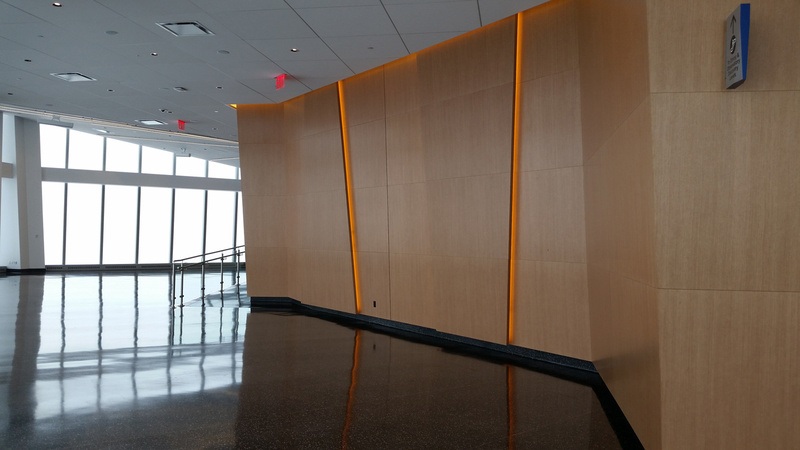 With uncompromised aesthetics, you never have to sacrifice form over function with Microperf Acousticore panels. 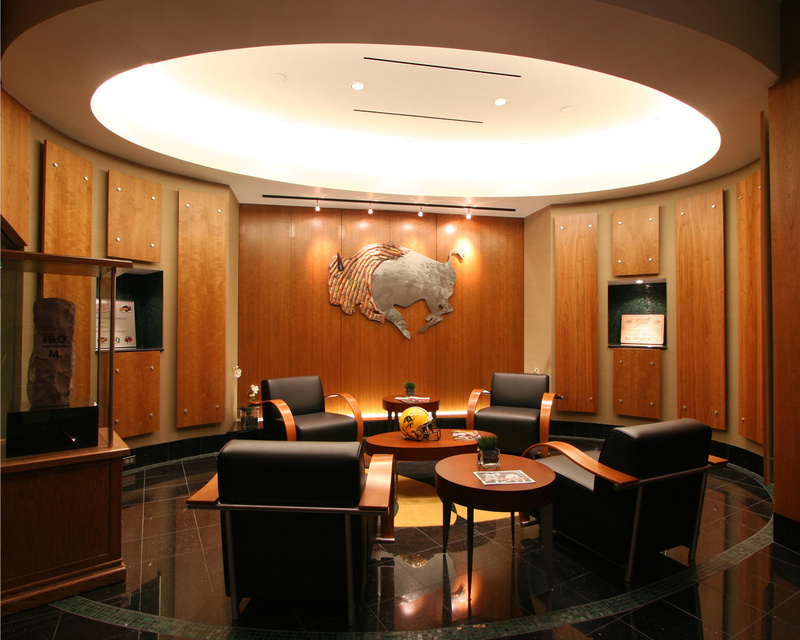 The wall and ceiling panels provide exceptional acoustic performance in tandem with pleasing design features. 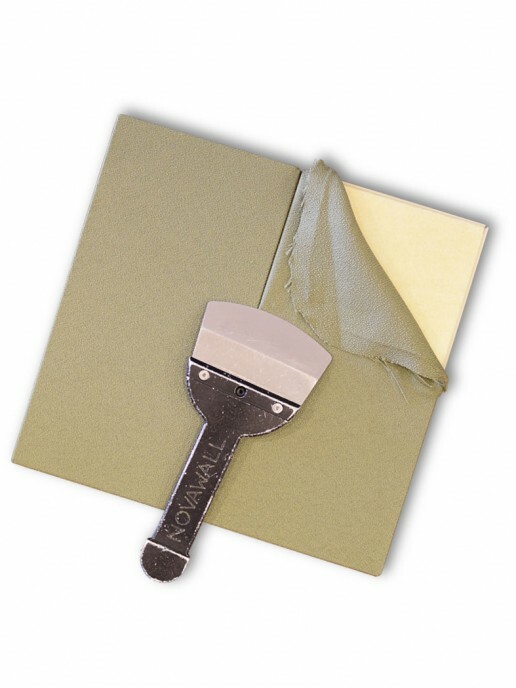 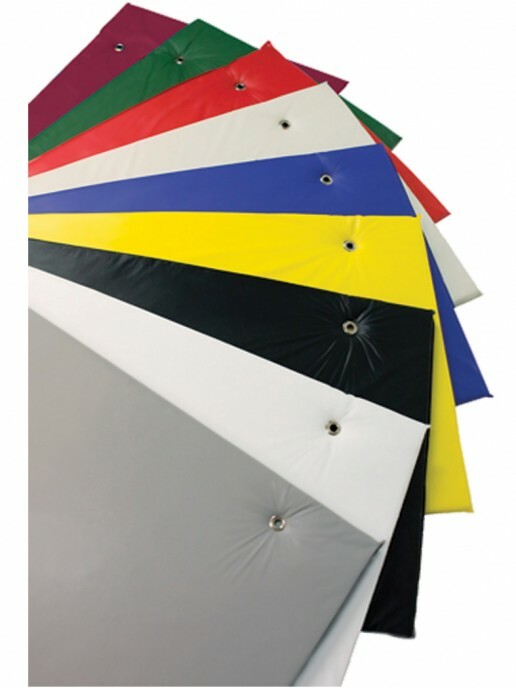 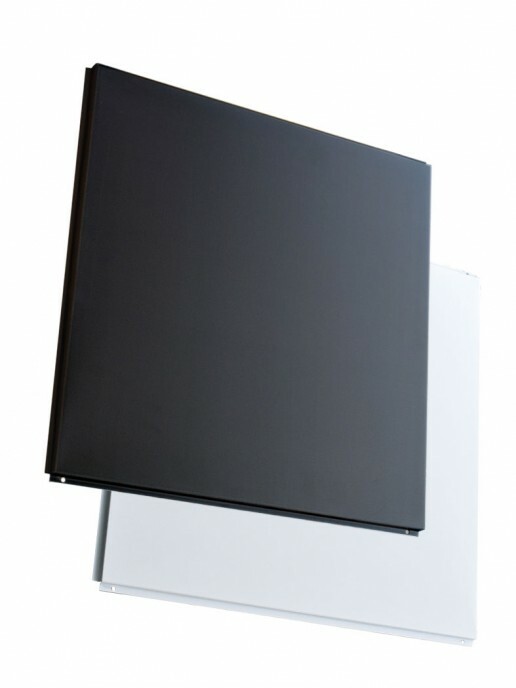 Their special lightweight design allows the panels to be hung like traditional wall panels using standard z-clips, making them easy to integrate with your existing design plans. 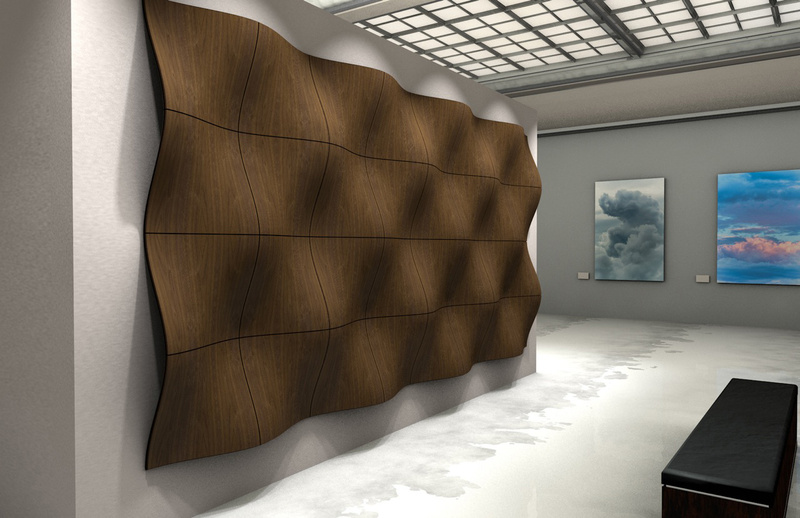 Impact resistant and rigid, the panels are designed to resist reactivity to seasonal changes in temperature or humidity, making them ideal for use in any interior space. 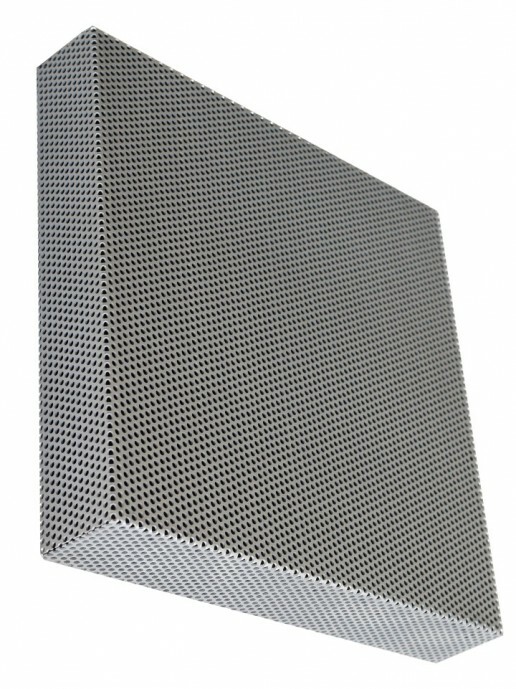 Microperf Acousticore panels are intended to pair seamlessly with your existing or planned designs, making them an easy fit for any room. 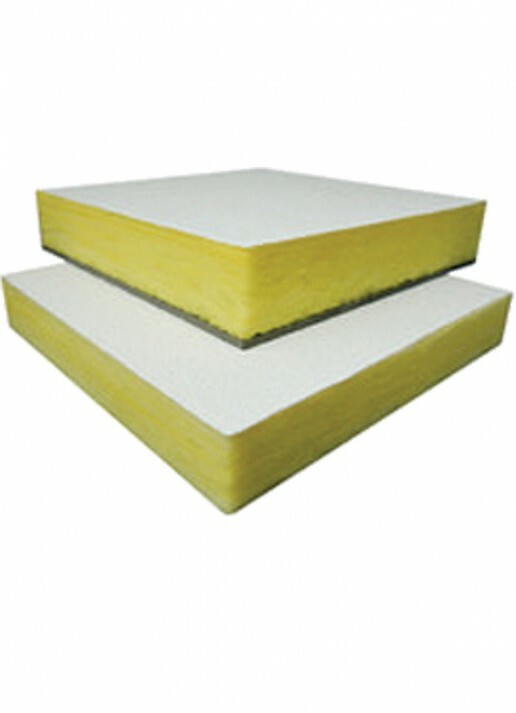 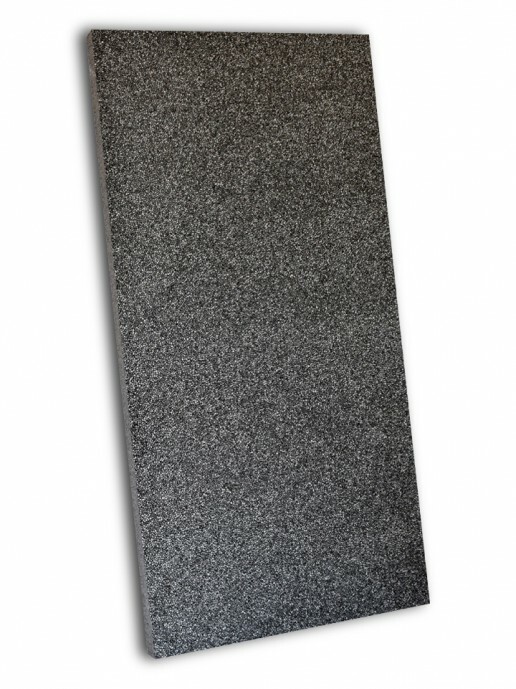 The core of every panel is built with sintered resin-reinforced glass wool Soundply™ to offer high-quality acoustic surfacing and several different exterior materials are available. 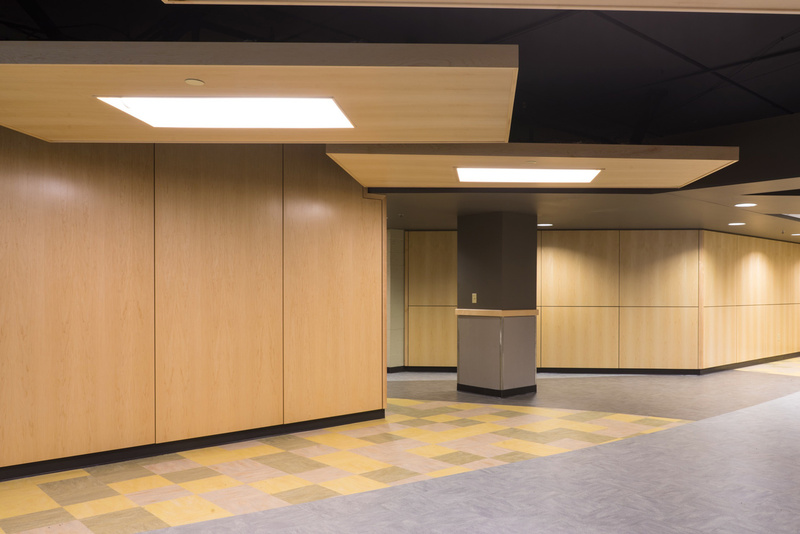 Wood veneer, vinyl, high pressure laminate, and even paint exterior surfaces are all available to match the interior design of any space.